Statue of Saint Benedict of 80 cm. 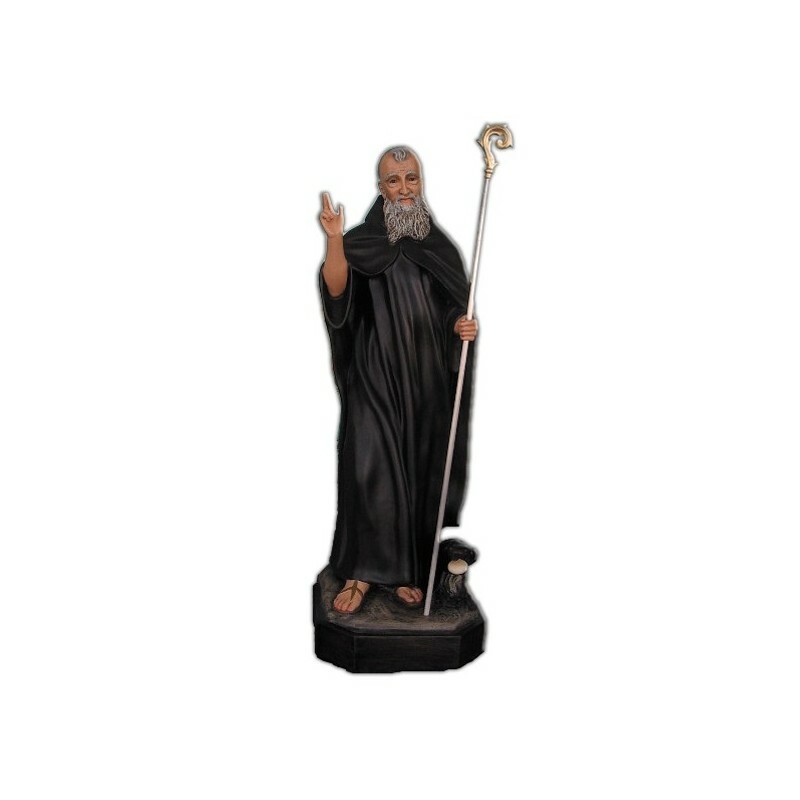 Statue of Saint benedict, 80 cm of fiberglass, handmade in Italy. 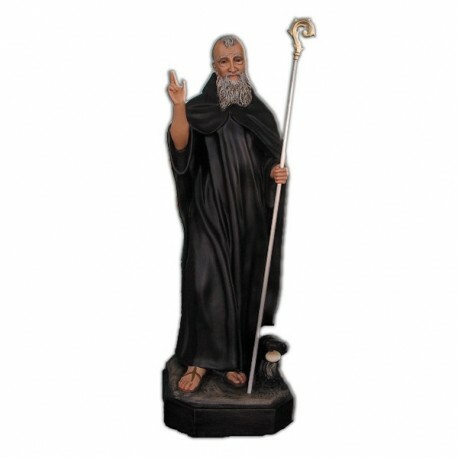 Saint Benedict of Nursia is commemorated on the 11th of July. He lived between 480 and 550. He was born near Nursia in Umbria. When he was 20 years old his parents wanted him to study in Rome, but he left the school to enter a community in Affile. He left also this community to become an Heremit in a cavern near Subiaco. Early it was discovered his sanctity and many disciples began to follow him. He built 12 monasteries. In 530 he moved to Montecassino, where he founded the great abbey in which he lived until his death. He promulgated his doctrine, which was considered the greatest factor of the european and christian civilization. He became an example for all the occidental monks. After the distruction of the abbey during the second World War, it was discovered a grave with some bones that probably belonged to Saint Benedict. In the iconography he is illustrated with the Benedictine clothing, with a book in the hand, “The Rule” or with a raven with a loaf in the mouth. In 1964 he was proclaimed “Patrono of Europe” by Pope Paul VI.